Since the announcement of the potential 20th Century Fox-Disney merger, many people have been waiting with bated breath to see many popular Marvel characters such as the X-men and the Fantastic Four join the Marvel Cinematic Universe. Even with deal in the works Fox is still kicking out projects for the properties it owns. Deadpool 2 arrives in March, X-Men:Dark Phoenix in December and The New Mutants which has been pushed back to next year. But that does not mean that Fox is slowing down by any means in trying to push out more films before the acquisition is complete. 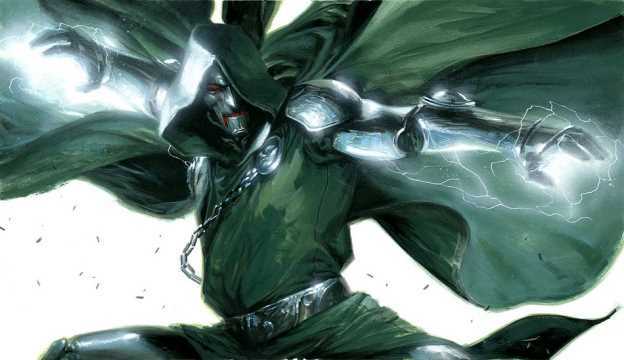 According to The Hollywood Reporter solo movies for both Doctor Doom and the Silver Surfer are in the works, with the Silver Surfer being written by Brian K. Vaughn of Saga and Runaways fame Here is the thing, the studio is in a rush to get these out and is reportedly moving at “100 miles per hour” to get complete. It is going to be extremely interesting to see what if any of these properties see the light of day with Fox and what may or may not hit the big screen by 2019.